Pink Plumeria, originally uploaded by Eric Jeschke. OK, now that the Japan exhibit is done, wither next? I know flower shots are trite, and fortunately I don’t have too many of them. 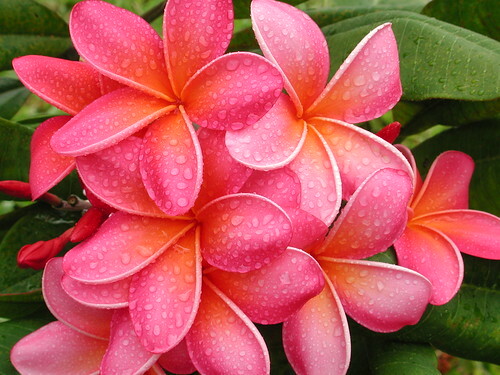 But I was fascinated with plumeria for a time after coming to Hawai’i. These look awesome printed really big.